There must be many young or first-time investors who want to know where and how to make a start in building a fund portfolio. 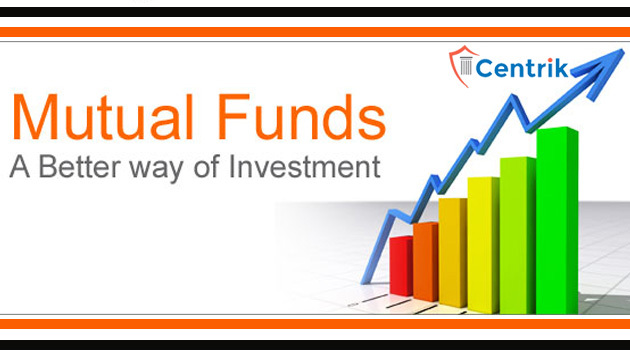 While Centrik give you a feature to know which funds are best to invest and we are the one who provides this service for FREE. This may make it simpler for you to build solid portfolios as your life’s commitments increase at a later stage. In this article, we will deal with investors starting a savings habit for the first time and wish to start investments in mutual funds. If you have just started a career and wish to kick start some savings, then mutual funds can be a great way to do it systematically. But then, if you are new to equity markets, then investing in equity mutual funds and experiencing any short-term volatility can spook you out of mutual funds, which otherwise make for great long-term products. Consider making a start with debt-oriented products (such as MIPs), which offer 10-25% exposure to equities. This will provide a good entry point to equity investing. It is a misconceived notion that MIPs are only for those who look for monthly income. MIPs can be held with a growth option. Their simple aim is to generate debt-plus income, with the additional equities they hold. This may be a better option than going for a recurring deposit. Hold some surplus in liquid/ultra-short-term funds to build an emergency fund, or if you would like to set aside some amount for your own spending – ranging from buying a mobile, to going on a vacation, or for expenses incurred to apply for B-school a year or two later. At this point, you can start considering tax-saving mutual funds as well, for your Section 80C benefits. Until then, use other tax options such as PPF, EPF and some basic term insurance and medical insurance for your tax benefits. By the time you are over 3 years into your career, you may start having specific goals such as saving to buy a property, upgrading your lifestyle with consumer durable products, saving for your own marriage, or investing for your retirement or for your family’s needs – such as child’s education. Please note that you may even begin this whole process with a good asset allocation strategy, if you already have fixed goals in mind, have an idea on how to go about it, or have the right guidance. Otherwise, the above will be a more phased approach. The biggest advantage with mutual funds is that it allows you to ride different asset classes (equity, debt, gold) using the same vehicle. Hence, it becomes easy for you to have an asset-balanced approach once you start investing towards specific goals. To sum up, as a young investor, invest systematically, take on equities in a phased manner to help achieve long-term goals and use debt judiciously to counter equity volatility. Gold, will remain an option, if you wish to use it as a diversifier.